Gearing up for a new school year can be stress-free! 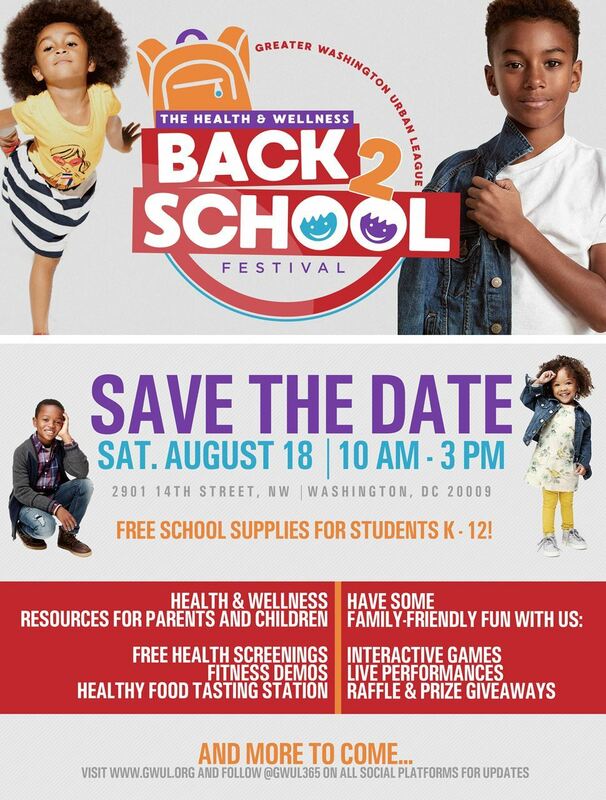 Join the Greater Washington Urban League for the 6th annual Health and Wellness Back 2 School Festival on Saturday, August 18th at the Columbia Heights Community Center. Parents and children can take advantage of free health screenings, family-friendly fitness demonstrations, workshops, healthy food tasting station, interactive games and a school supply giveaway just for students! We want to inspire children in the DC Metro Area to look forward to learning and knowing that they are important in our community.